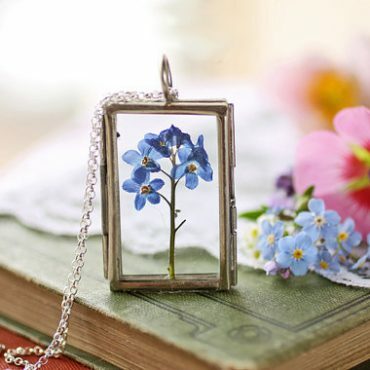 A tiny posey of forget-me-nots, a keepsake from of the first days of summer have been captured inside a glass locket to make this sweet botanical necklace. 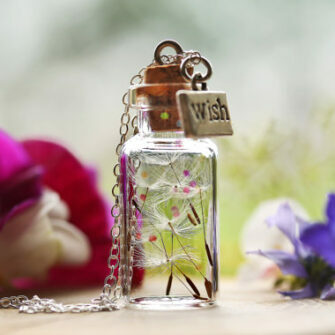 A traditional symbol of love and devotion this sterling silver pendant would make such a romantic gift for a bride to be, especially as her something blue! Forget-me-nots have always been a favourite of mine, and I grow a huge patch of them in my garden every year where their thousands of tiny blue faces take over in an eruption of beautiful chaos. I pick the flowers early in the morning when the flowers are at their strongest and treat them in a way that their colours and form are so well preserved that they look just as pretty as when they were alive. 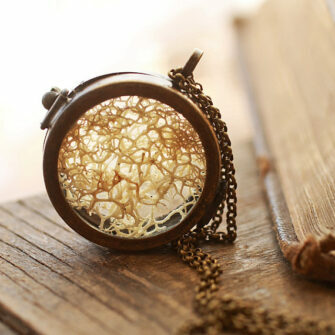 The locket is made from glass, silver toned metal (not nickel-free) and is hung on a lovely 22 inch long sterling silver chain. 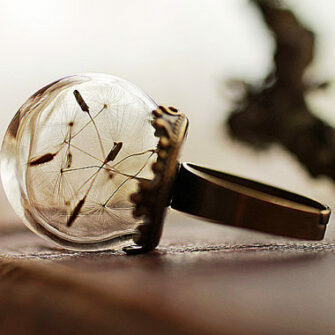 The locket measures 1x1.5 inches. 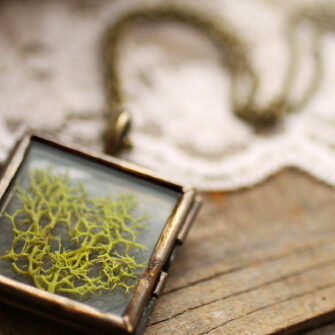 The locket has been sealed shut to preserve the piece inside, but as this piece was made with natural materials, it needs to be treated with a little care. Please try to keep it dry, and when you are finished wearing it, tuck it away somewhere dark and safe to protect it from too much sunlight.